There has been a reclassification to the listing of the Y Trichant, this is the draft title for the hills in the 300m height band of the Twmpau (thirty welsh metre prominences and upward) due to analysis of LIDAR data by Aled Williams. The hill was previously surveyed with the Trimble GeoXH 6000 and included as a Sub-Trichant with 29.8m of drop. The criteria for Y Trichant being all Welsh hills 300m or more and below 400m in height with 30m minimum drop and the Sub-Trichant being all Welsh hills 300m or more and below 400m in height with 20m or more and below 30m of drop. The hill was not classified prior to the survey with the Trimble as much of the hill has been quarried and as is the norm in such circumstances there is a lack of uppermost contour lines on current Ordnance Survey maps. 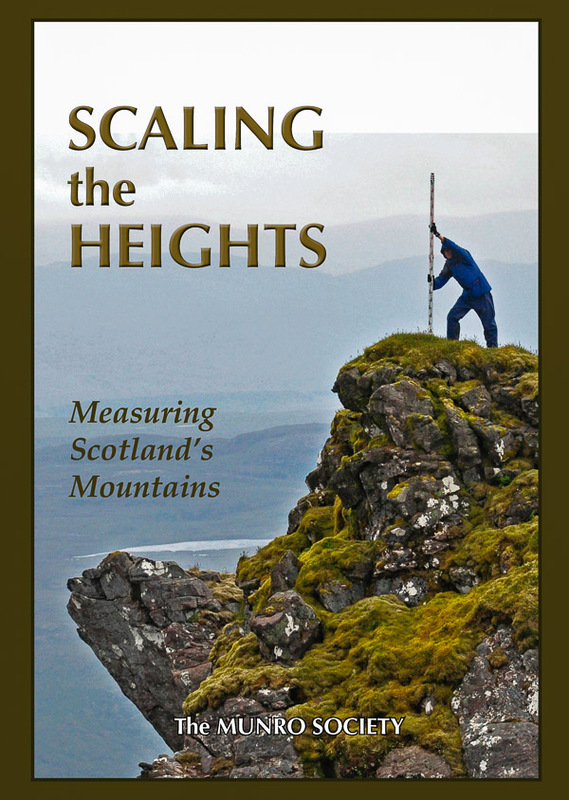 But at one stage it was a part of a relatively substantial hill that had a prominence in excess of 100m and a 1,550ft (472m) summit map height shown on the Ordnance Survey Popular and New Popular One-Inch maps, with this height also appearing on the Ordnance Survey Six-Inch map published in 1888, and therefore it would have met the criteria specified for inclusion to the Humps and the Y Pedwarau listings. 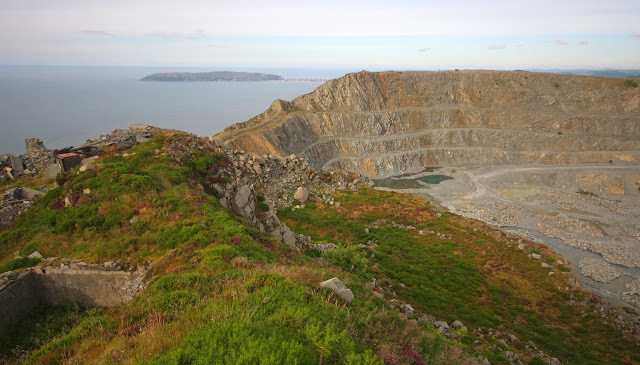 The subsequent quarrying has produced two distinct summits with the details given in this post relating to the lower of the two summits that are both known by the same name. The hill is a part of the Carneddau range with its Cardinal Hill being Tal y Fan (SH 729 726) and is placed in the Region of North Wales (Region A, Sub-Region A1). The hill is situated to the south of the A 55 and is positioned between the towns of Llanfairfechan to its west and Penmaenmawr to its east, with the latter taking its name from the hill. The hill can be easily accessed from a minor road to the south of the summit that reaches over 260m in height, a public footpath heads north from just below the high point of this minor road and joins a track which is marked as a bridleway that contours around the southern slopes of the upper section of the hill. A large section of land above the bridleway is designated open access and the summit of the lower of the two Penmaen Mawr hills is close to this. The name of the hill is Penmaen Mawr and its reclassification from Sub-Trichant to Trichant status is due to analysis of LIDAR data by Aled Williams. LIDAR (Light Detection & Ranging) is highly accurate height data that is now freely available for much of England and Wales. Therefore, the 385.8m LIDAR data produced for the summit position at SH 70292 75649 and the 354.5m LIDAR data produced for the bwlch position at SH 70441 75241 gives this hill 31.3m of drop, which is sufficient for its reclassification to a Trichant, therefore the total in the Y Trichant and the Twmpau which will be updated accordingly.